The first time you visit this area (Route 30) on your way to Mr. Pokémon's house, a Pokémon battle will be blocking the road North and you won't be able to get through. The way will be clear after you finish your errand. Route #30; you start at the bottom. Mr. Pokémon's house is at the top right. The guy in the southern house can tell you about Berry trees and the healing properties of Berries. He'll even give you a Berry for the road. Your Pokémon can hold Berries to heal themselves! You can get another Berry from the tree outside, and there's an Antidote just to the north (Crystal only). Cut through the grass and stay on the right path to get to Mr. Pokémon's house. Before you go in, grab the Psncureberry from the tree to the left of the house. With poisonous Weedle or Spinarak (at night, only in Pokémon Gold and Crystal) lurking about, you may need it. Be sure to pick up a Potion hidden in some flowers in front of the house. This man offers to share a berry with you. Mr. Pokémon gives you a mysterious egg. The old man you've been sent to visit has a houseguest: Good ol' Professor Oak! He'll give you a PokéDex, a sort of digital encyclopedia with entries for every Pokémon — as soon as you fill them in by catching them. After this, Mr. Pokémon will give you what Professor Elm sent you for: the Mystery Egg. As soon as you leave, Professor Elm will give you a call on your PokéGear and summon you back to New Bark Town on the double. When you get the Red Scale at the Lake of Rage, come back to Mr. Pokémon's house to trade it for an EXP Share. 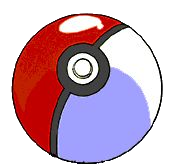 This item gives the Pokémon that holds it a part of the EXP earned in each fight, even if it doesn't join in combat! This page was last edited on 20 November 2018, at 03:58. This page has been accessed 356,211 times.